Scheduled for release in China on January 12, 2018. 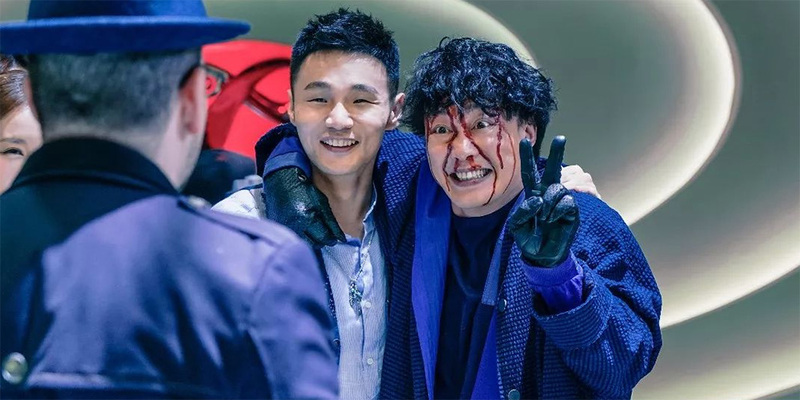 Hong Kong star Eason Chan (Office, Dream Home) is delivering kung fu slapstick with 'Keep Calm and Be a Superstar', a fun-filled comedy from director Vincent Kok (Gorgeous). The film has obvious references to Jackie Chan’s Drunken Master and Police Story and centers around a cop who goes undercover on an action movie to try and stop a drug trafficking ring. Alongside Easton Chan the cast includes Eason Chan, Li Ronghao, Li Yitong, and Danny Chan Kwok-Kwan.